Halloween! The arrival of autumn represents cooler weather, frosts, the earthy smell of the harvest, pumpkins, leaves, and costumes galore! Why not celebrate the arrival of autumn and Halloween in the classroom in a fun AND educational way? 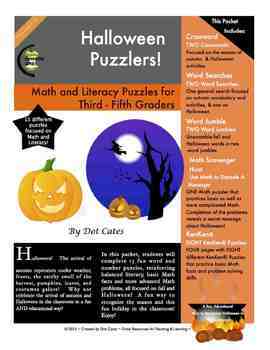 In this Halloween Activity Pack, students will enjoy two crosswords, two word searches, and two word jumbles, as well as nine Common Core Aligned Math activities: a Math decoding puzzle, and eight Ken Ken® puzzles. 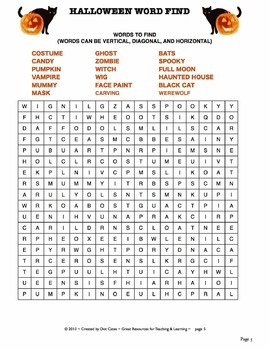 Each of these puzzles is focused on the season of autumn, the holiday of Halloween and the events that surround the season. 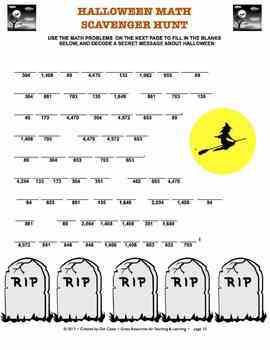 Bring Halloween into the classroom in a fun, educational way! 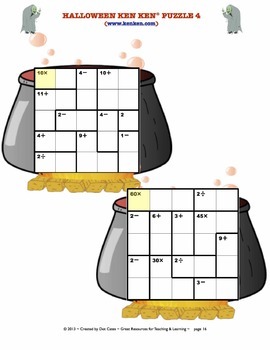 This puzzle pack would be appropriate for 3rd, 4th, and 5th graders. This pack is also a great activity to leave for a substitute teacher or to give to fast finishers during other academic times. Channel your students' squirrelly Halloween energy with this fun activity!